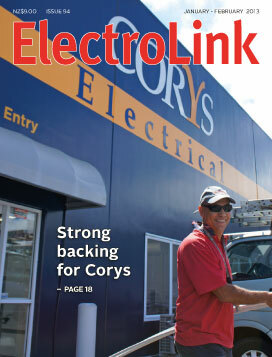 When New Zealand’s largest construction company acquired Corys two years ago it freed the electrical wholesaling business to focus fully on the electrical trade. Fletcher Building’s gift to the electrical industry was to unhook Corys from the Crane plumbing operation and set it on a path of greater independence. Now the focus on electrical wholesaling has increased even further with Fletcher’s agreement to sell Corys to an international company whose primary business is electrical wholesaling. New certification and exemption –	can electrical installation owners self-certify? Sweeping changes to certification commencing on July 1 this year are about to place new demands on owners and operators of electrical installations, but also offer a little flexibility in return on how they record certification and manage their compliance risks. From July on, any and all electrical work on an installation that can be done only by a licensed person will have to be certified and this will include maintenance and repairs because all the exemptions from certification for prescribed electrical work (PEW) are being removed. 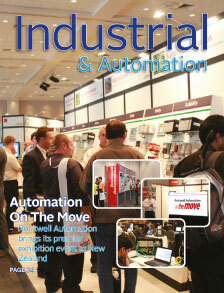 If you play any part in industrial automation, process control, drives, components or industrial IT systems, the Rockwell Automation on the Move exhibition and seminar series has been designed for you. The New Zealand event is a collaboration with Rockwell Automation, its authorised distributor NHP and its alliance and Encompass partners that will bring you up to date with the latest developments and create an opportunity for you to explore a variety of end-to-end automation solutions with over 40 experts in these fields. Work on establishing new training regimes for electrical trainees is well under way and will result in a level five national certificate in process automation qualification that could start being taught as early as next year. Concurrent with this development, a qualification to be taught at secondary school level is being introduced as a pan-trade ‘taster’ aimed at enlisting school leavers into electrical or related industries. As New Zealand’s largest industrial operation, Fonterra employs over 400 electrical staff and contractors to maintain electrical infrastructure at its 27 processing plants around the country. Fonterra takes seriously the safety of its electricians and, as a high voltage (11kV) electricity user, the company pays particular attention to the safety risks to staff and contractors working on its switchboards. From the moment LEDs looked powerful enough to be used for commercial lighting, the race has been on to develop LED ‘tubes’ to upgrade the massive installed base of aging T8 fluorescents. Many LED tubes have come on the market and most have failed to come close to competing with the performance, energy efficiency and low cost of linear fluorescent lighting. Many have been unsafe or non-compliant. 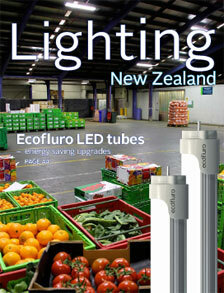 A New Zealand lighting company, Business Lighting Solutions (BLS), says it has solved the safety and technical challenges posed by retrofitting LEDs into fluorescent fittings and now offers a range of safe, reliable and high performing LED tubes designed for contractors to replace T8 fluorescent lamps. The right sort of lighting control system can save as much as 80 percent of the power of a non-controlled lighting installation but offers significant other benefits as well. While the current drive for energy savings focuses on the use of lighting controls, the visual comfort and flexibility provided by controls can offer a better lit environment and this should always remain the primary focus of good lighting design. Thankfully, the clever use of lighting controls and high performance luminaires can now deliver both of these objectives. Controls can be built into luminaires to detect occupancy and switch the light on or off or, to detect ambient light levels and dim the lamps to maintain a constant pre-set light level. In the current economic climate when there is not always enough work available, you may be able to generate more business by offering to audit the performance of your existing clients’ lighting. Installations reliant on old T8s or metal halides are ripe for the plucking, and learning how to measure their current power consumption and compare it with projected savings is a useful recipe for work generation. If you are not interested in gaining the skills, you can get an auditor in to do it for you. Some companies specialise in doing this. Lighting suppliers also like to get involved in projects at the outset so they can supply the lighting and are keen to help with the numbers and work out the payback times. If you are an Ecanz EcoSmart electrician you will have already learned how to do simple audits, and there are always electrical wholesalers who might be able to help.